For this article, we’ll cover what the best Corsair gaming keyboard, mouse, and headset under $200 dollars in 2018. Whether you are just playing computer games for fun or you compete online or in tournaments, having the right gear surely go a long way. I have listed a top choice & budget option for each of these. For any avid gamer, having a reliable keyboard is a must. The Corsair Gaming K95 is packed with powerful specs as it features 6 programmable G-keys and key switches that allow you to have a speed of 1.2mm actuation. This keyboard is unlike no other with its frame made from aircraft-grade anodized aluminum which is built to last. What is nice with this keyboard is that it comes with an 8MB profile storage that has a light playback and hardware macro to have profile access. It is easy to use and it gives you that powerful gaming vibe especially with its 19-Zone Light Edge feature that adds effects and animations. 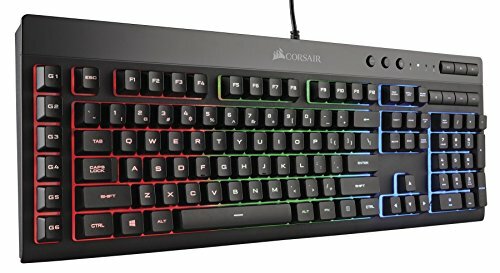 If you don’t want to spend that much but still want to buy a Corsair gaming keyboard, there is the Corsair Gaming K55. Although it is a budget keyboard, you can still get the specs that you need for a much better performance. It has a lot of essential features to help you improve your gaming experience. 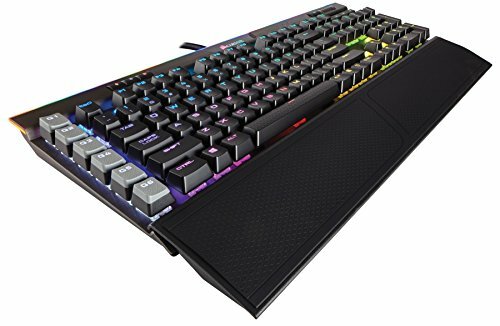 It comes with 3-zone RGB backlighting that has 10+ preconfigured RGB lighting modes giving you that amazing lighting effects. To give you combos and amazing actions while playing, it comes with 6 programmable macro keys. And instead of having to pause to change the volume that interrupts the game, it has multimedia controls. The Corsair Gaming GLAIVE is designed to give you that ultimate gaming performance. Its contoured shape is perfectly created for gamers for a better play. What makes this a premium gaming mouse is that it comes with a 16000 DPI optical gaming sensor feature that gives you excellent performance and high accuracy. Depending on your preference and playing style, you can select among the 3 different styles of thumb grips. Enjoy the game with its 3 one RGB backlighting that gives amazing lighting effects and customization. In terms of response and reliability, this is a reliable gaming mouse that is rated for 50 million clicks that can give you fast response. It also comes with onboard profile storage where you can save settings and access them on any device. 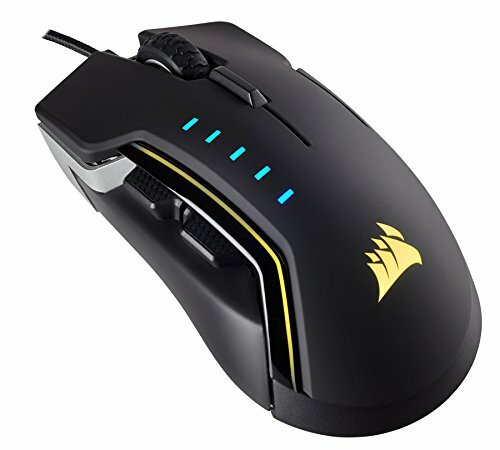 The Corsair Harpoon RGB is our budget option gaming mouse that is not as powerful as the previous one but can still give you excellent performance. It has a much lower gaming sensor (6000 DPI Optical) that can give you precise control. It features a lightweight design and contoured shape which for fast response and ease of use. The Omron switches in Corsair CH-9301011 are rated for 20 million clicks which can still give reliability and speed. With its 6 programmable buttons and its own onboard memory, you can customize your gaming mouse depending on your need. 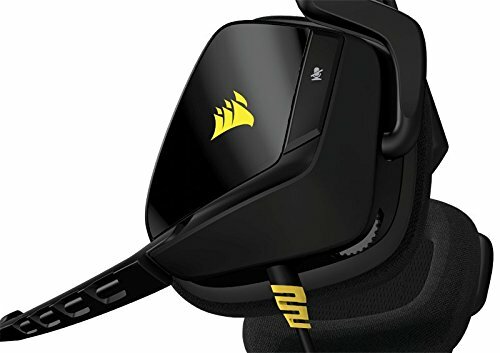 For an advanced gaming headset, the Corsair Gaming VOID Wireless RGB Gaming Headset is one of the best choices out there. For its price, it might be slightly expensive but it has innovative features that you can’t find in regular headsets. It comes with an amazing audio performance backed with 2.4GHz that can give you wireless connection up to 40 ft and a battery life of 16 hours. Since it is a multi-channel audio that has Dolby 7.1 and 500 mm drivers, you have a gaming headset that can truly deliver superb audio. It uses InfoMic that lets you know the status of your audio. Unlike other headsets that may cause discomfort with long hours of use, this headset has microfiber foam ear pads. 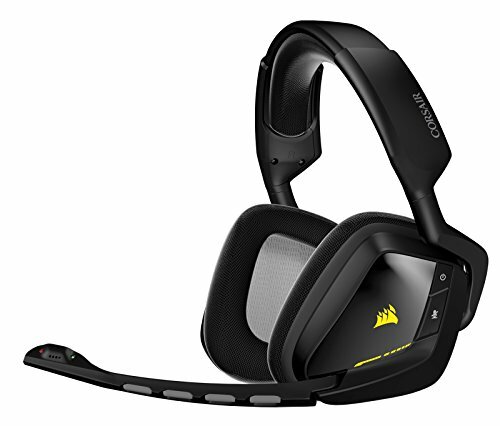 Offered at a much lower price is the Corsair Gaming VOID Stereo Gaming Headset. This headset is compatible not just with a computer but with other gaming consoles and even mobile devices. Experience amazing audio with it’s 50 mm neodymium drivers that add life to your gaming experience. You can easily adjust the volume and mic with its on-headset controls. Even when you use it for long hours, you wouldn’t experience any discomfort with its memory foam ear pads that are micro-fiber wrapped. It also has noise canceling mic feature you can be heard loudly and clearly. 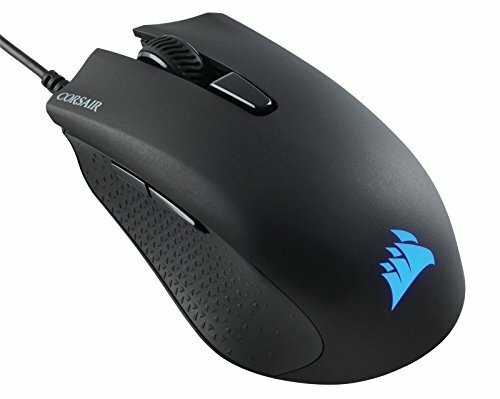 Avid gamers need tools to be able to enjoy computer games and to compete. As the world of gaming has reached its all-time high, the demand for gaming tools has also increased over the years. When it comes to choosing a good brand, you can never go wrong with Corsair. It is just a matter of choosing which items suit your budget and playing style.